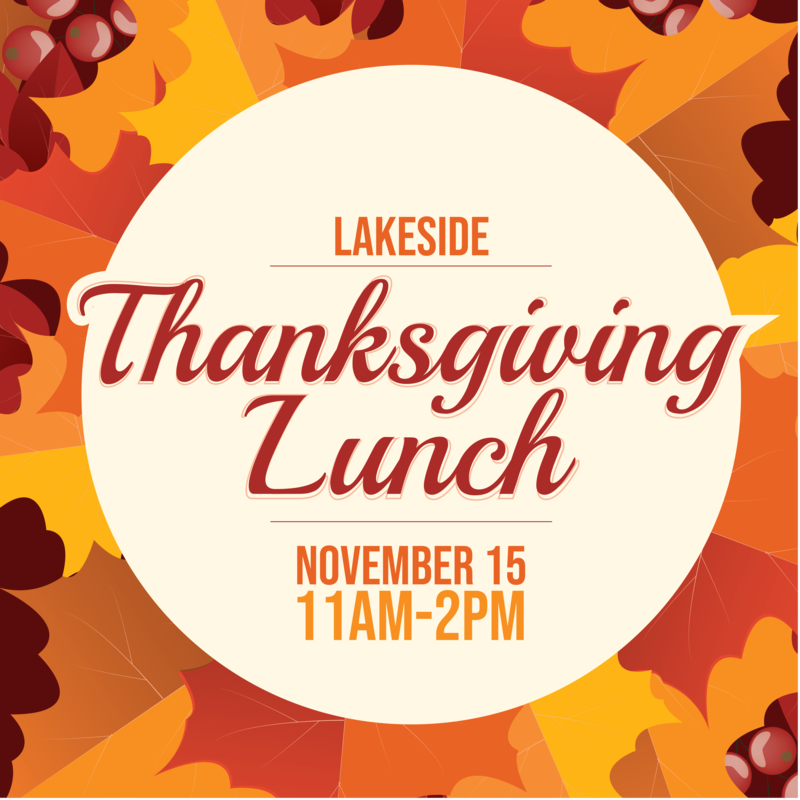 (Statesboro, GA)– The Thanksgiving holiday is the time to make memories, share laughter and catch up with loved ones…and what better place to do that than the annual Lakeside Thanksgiving meal? Bring your college family to a lunch you won’t soon forget on Thursday, Nov. 15 from 11 a.m to 2 p.m. at Lakeside Dining Commons on the Statesboro Campus! Feast on Thanksgiving classics like oven-roasted turkey with gravy, baked ham, cornbread dressing, green beans and macaroni and cheese. Indulge in sweet potato casserole, cranberry sauce and other delicious desserts. This event is free to Dining Plan holders on any Georgia Southern campus. The event price for those using EagleXpress is $12, and for those wishing to use credit, debit or cash, the cost is $15+ tax. In preparation for the event, Lakeside will be closed until 10:30 a.m. on the day of the event. Dining Commons will remain open during that time. For more information, visit GeorgiaSouthern.edu/dining.